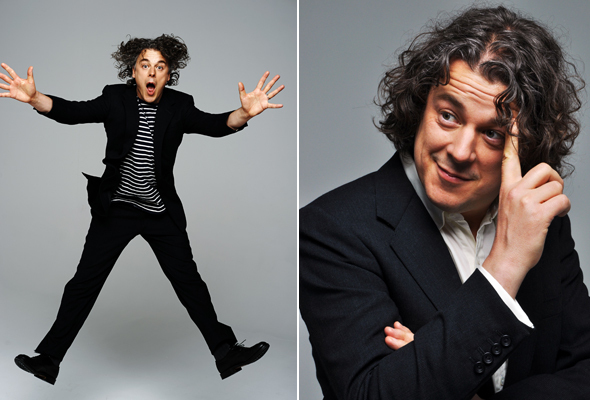 Get ready for some belly laughs as British comedian and TV star Alan Davies is set to headline a huge new comedy gala in Dubai this June. Taking to the stage on Friday June 14 at Dubai Opera, Davies will be joined by fast-risings stars Rhys James and Tom Lucy, as well as host Jarred Christmas for the comedy gig. Best known as the resident dunderhead on QI, and also for his role on BBC crime drama Jonathan Creek, Davies’ witty story-telling and classic stand-up style have won him a host of fans, and accolades, through his career. He’ll be joined at Dubai Opera by Mock The Week favourite Rhys James. Still in the early years of his career, James has already sold out the Edinburgh Fringe and the Soho Theatre in the UK, so we can’t wait to see his new material live in Dubai. Also joining them is Comedy Central star, Tom Lucy. At just twenty-two years old, he’s one of the youngest professional comedians on the circuit. Tom’s first stand up gig was at aged just 16, and he now performs regularly for the UK’s top comedy clubs including The Glee Clubs, The Stand, Komedia, and The Comedy Store. Completing the line-up is comedian and host, Jarred Christmas. His unique style of comedy mixes gags with storytelling, and his ability to improvise through his gigs, make his performances brilliantly raw and original. Tickets start from Dhs150, with an early bird discount of 20 per cent available on VIP and Platinum seating categories until April 25.